FIO Course Conditions: Shades of the ’08 U.S. Open at Torrey? 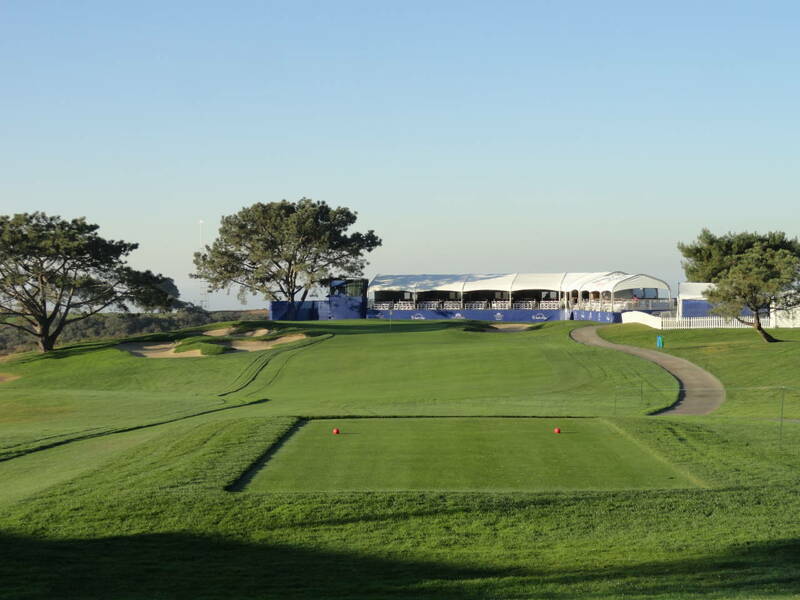 A warm San Diego winter nearly devoid of rain has helped give Torrey Pines a golf course for the Farmers Insurance Open that is reminiscent of the PGA Tour’s major held there in 2008, says Paul Cushing, Torrey’s lead maintenance supervisor. Cushing says course-friendly weather and diligent maintenance programs have resulted in a best-case scenario for course conditions. Cushing says the ankle-deep rough has drawn compliments. Without a drop of rain in the forecast and high temperatures continuing throughout the tournament, Cushing says the Farmers is primed for one of its best years. Besides the lush grass beneath their feet, Cushing hopes visitors will also notice the attention given to improving the look of Torrey on the horizon. “We have really spent a lot of time the last two years cleaning up the canyon areas on the North and South to improve the viewing corridors. Some of the areas had really become overgrown,” he says. Cushing has graciously agreed to provide a daily course maintenance picture or two for socalgolfblog.com to give followers a unique look at the course and what goes into producing the Torrey Pines the world sees on TV. So you can you look forward to that. This entry was tagged 2008, course conditions, Farmers Insurance Open, Paul Cushing, rough, Torrey Pines, U.S. Open. Bookmark the permalink.